The labour chief is confident that wages in Singapore can still go up even as economic growth slows, provided firms make smarter use of technology and capital and value every worker. In his May Day message, Mr Lim Swee Say, the National Trades Union Congress secretary-general, said all countries strive to be competitive to ensure demand for their goods and services. Singapore has an additional challenge - it needs to become more innovative and productive to deal with its manpower shortage. "To succeed on both fronts, we must learn to make smarter use of technology, innovation, capital and know-how to be more future-ready than our competition," he said. "Above all, given our tight manpower situation, we must learn to value every worker regardless of age, gender, qualification, background and physical condition," he added. Mr Lim warned that not doing so will lead to higher unemployment and wage stagnation. 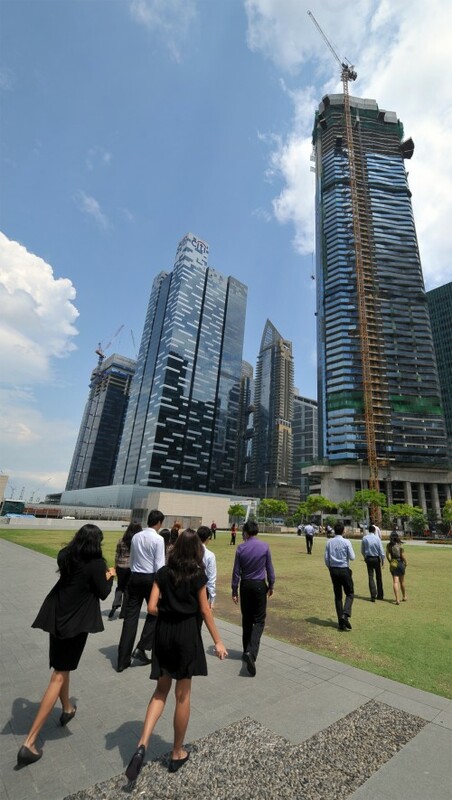 "Workers will not be able to live better in a 'so-so' Singapore," he said. But he is upbeat that Singapore can succeed in economic restructuring even though other countries have failed. His optimism is due to the strong three-way partnership among the Government, unions and firms. Earlier last week, Prime Minister Lee Hsien Loong also spoke of wages, saying that for pay to go up, there must be economic growth. Besides tackling wages, Mr Lim also pledged to address the widening income gap and promised to beef up the Singaporean Core of workers in key sectors of the economy. In a separate message, NTUC president Diana Chia said that the labour movement will try to recruit more members as "unions and union membership remain the best safeguard of workers' interests at the workplace". She vowed to step up unionisation of sectors where penetration is low, including by forming new unions. She also set out the areas that the labour movement will focus on. These include low-wage workers, the concerns of professionals, managements and executives about fair job opportunities, gainful employment for older workers and support for workers with families. Ms Chia said that while foreign labour will always be needed, the goal must be to maximise the contribution of each so that overall reliance on foreign labour is reduced. Singapore has reason to celebrate, Mr Lim said, as "we still have low unemployment and stable wage increases in a world of rising unemployment and wage stagnation". The NTUC holds its annual May Day Dinner tonight when Deputy Prime Minister Teo Chee Hean will present awards to 93 individuals and companies. On May 1, Prime Minister Lee Hsien Loong will attend the annual NTUC May Day Rally at Downtown East.